Our entire family has anxiously been awaiting Eric Wight's new Frankie Pickle book FRANKIE PICKLE AND THE MATHEMATICAL MENACE. Booking Daughter was lucky enough to get a sneak peek at the book last fall during the 2010 Lititz Kidlit Festival when Eric brought the sketches to the author's dinner. She immediately grabbed them and read the book in its entirety. She was so excited (and felt so special!) that I thought she was going to faint right there. 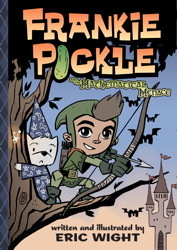 In FRANKIE PICKLE AND THE MATHEMATICAL MENACE, Frankie finds that he doesn't exactly have an affinity for math. When Frankie zones out on a math quiz and head to the fantasy world of Arithmecca, he ends up failing the quiz. Fortunately, his teacher gives him another chance, but Frankie has to face his fears and work hard to defeat "The Mathematical Menace!" As cute as the story was, I loved the important messages. For example, Frankie learned that math is important and we all use it in our normal, everyday lives. He also learned that he doesn't have to be afraid of something that he's not exactly comfortable with. In addition, Frankie was given a second chance to take the quiz, and he took full advantage of that opportunity. Frankie worked hard and studied over a weekend, and he definitely wanted to do well on his quiz. And finally, Frankie learned that math/school work can be fun! I also want to give a shout-out to the adults in FRANKIE PICKLE AND THE MATHEMATICAL MENACE. Both Frankie's teacher and his parents handled Frankie and his fears extremely well. Next time my kids are facing a challenge, I just might have to read this book again so I can keep it all in perspective! In case you don't know it, Eric Wight is just an amazing guy and Booking Son and I are HUGE fans of his! In fact, we have met Eric a number of times and Booking Son is lucky enough to have an "original" Eric Wight in his bedroom. Eric does lots of school visits where he shows kids how to draw his characters. Here's a little peek for the rest of you. Make sure you watch until the end because I absolutely adore how he draws Frankie's sidekick Argyle. Oh how cool! This looks like such a neat book nd it's great that you've met Eric. Cool cool cooll! I thought this book was great too! I was impressed with how well the adults in the book handled things as well! This was my first time reading Wight's work, and I was very impressed!! I so wish I had had a book like this when I was little! Both my kids love graphic novels. Thanks so much for introducing us to this new author and series. I will have to look into these books more seriously. Even the plot sounds ideal for my kids. My son would have loved to meet the author because he loves to draw and observe the illustrations in books. By the way, I just noticed Linky #3 should not be there. 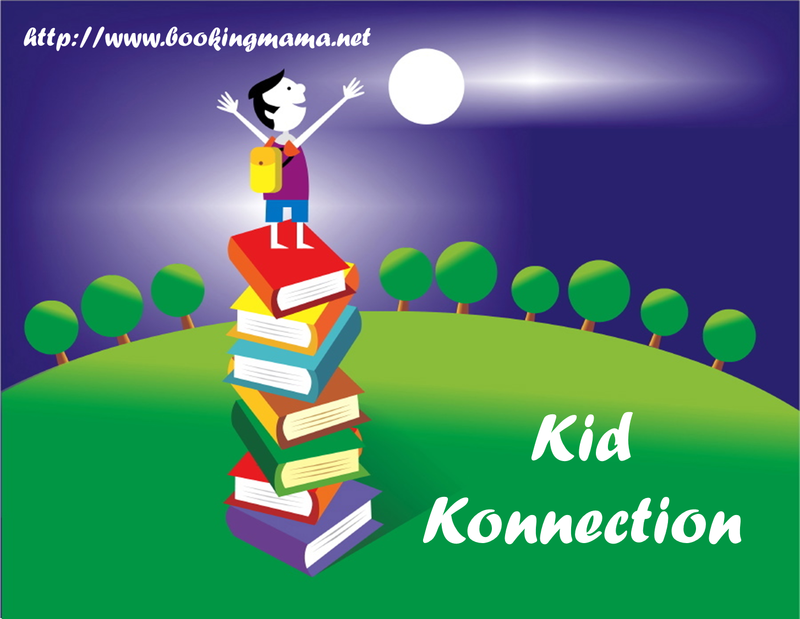 It has the link to my last week's Kid Konnection post. I must have pressed return by error before typing in this week's URL. Sorry about that. You are welcome to remove it. Thanks! We have the first two books. My kids have met Eric at school and then at two different library events. Are you in the Lehigh Valley too? I thought about going to the Moravian Bookstore when he was doing a signing but we didn't make it over there.